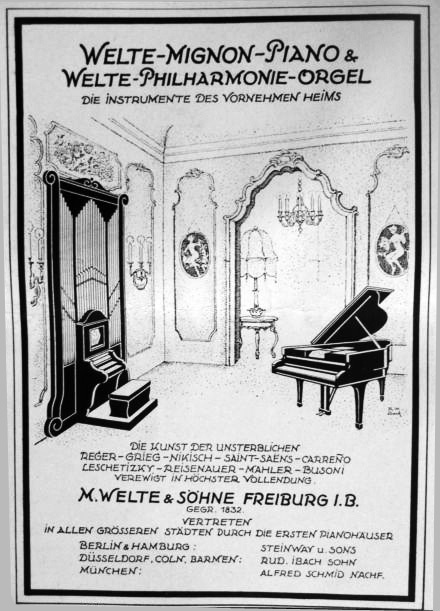 In 1904 the recording and reproduction of music was still in its infancy. 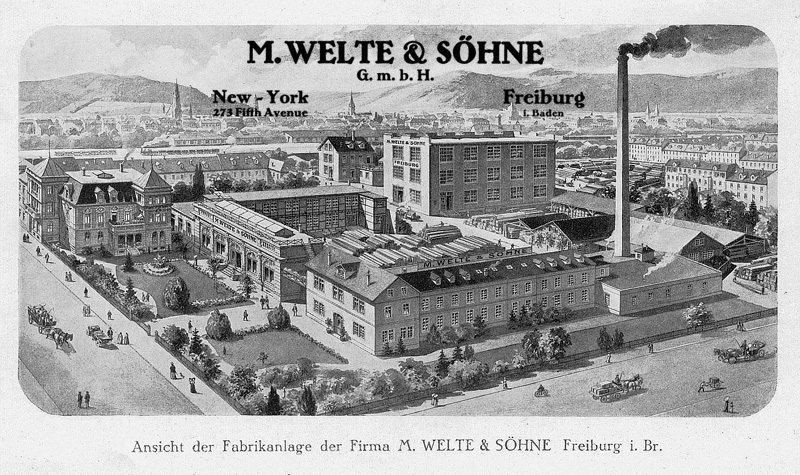 At that time, M. Welte & Söhne in Freiburg im Breisgau made a sensational invention. They had developed a process that was able to record and reproduce "all the fine details of pianists" personal playing on paper rolls. 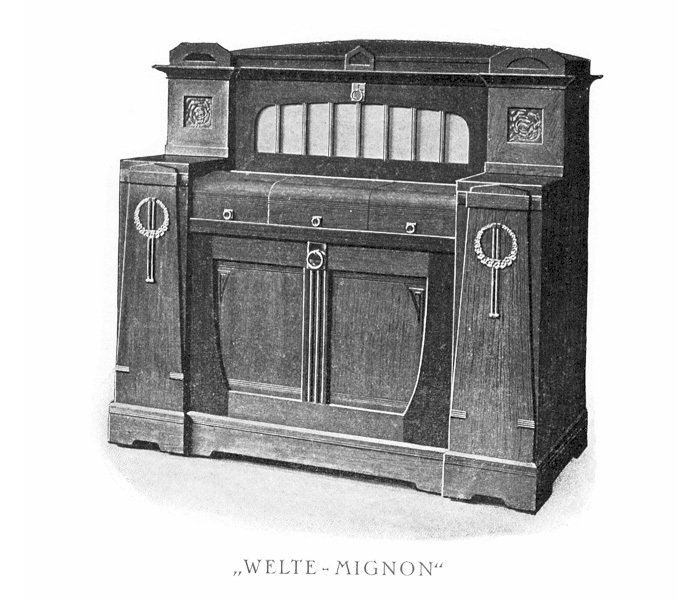 The reproduction mechanism bore the name "Welte Mignon". 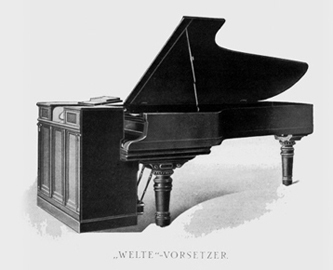 It was integrated in pianos and grand pianos for such illustrious manufacturers as Steinway, Bechstein, Blüthner and Ibach. 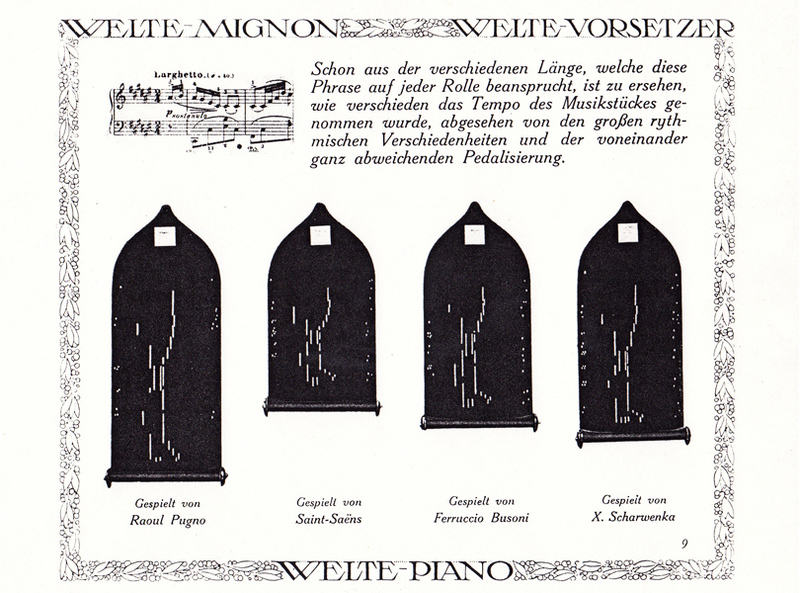 The version of a so-called "Vorsetzer" (push-up player) can be placed in front of any instrument that it was able to play with felt-covered wooden fingers and two metallic feet. The Mignon documents "a triumph of human ingenuity" because everything that resembles mechanics and machinery" has been entirely eliminated. 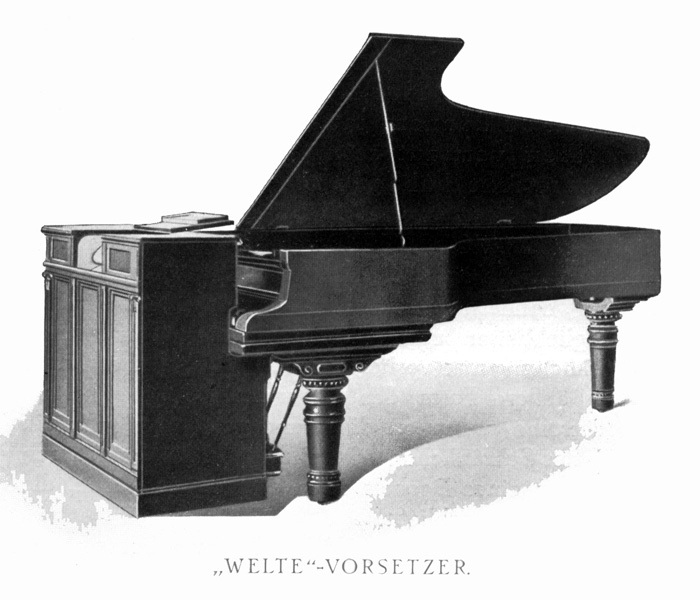 The apparatus seems to be "endowed with a soul", as during the reproduction "the outpouring feeling of the original player" also quivers in the "reflection of their art". 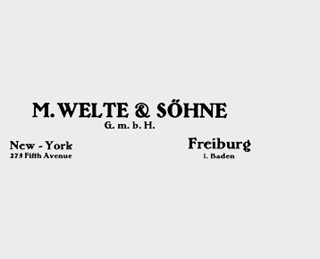 The Mignon was soon to be seen in the music salons of the aristocracy, the nobility, among industrialists and the "property-owning classes", just as on the steamers crossing between Hamburg and New York. 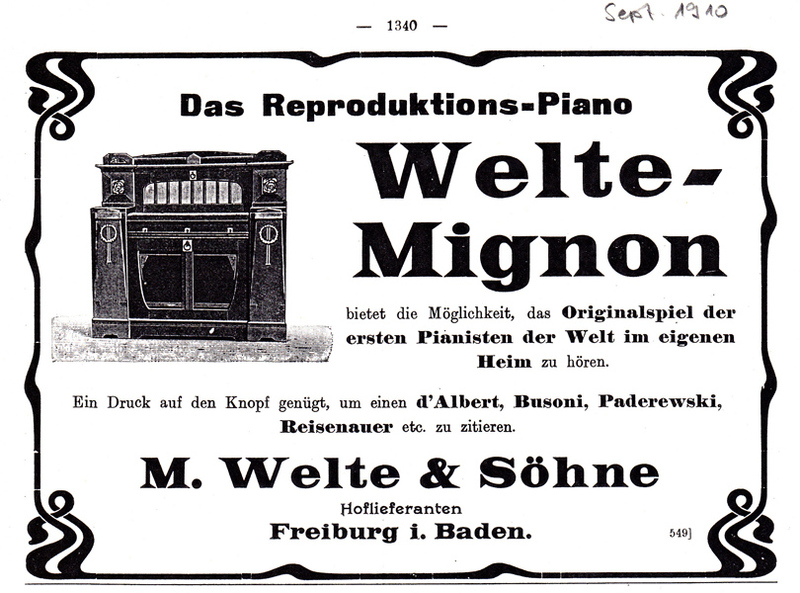 Around 5,500 music titles were played for the Welte-Mignon. 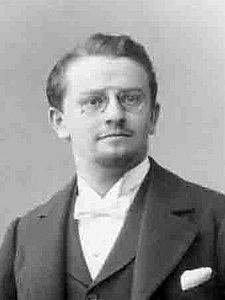 The last recordings of classical music took place in 1928 by Rudolf Serkin. 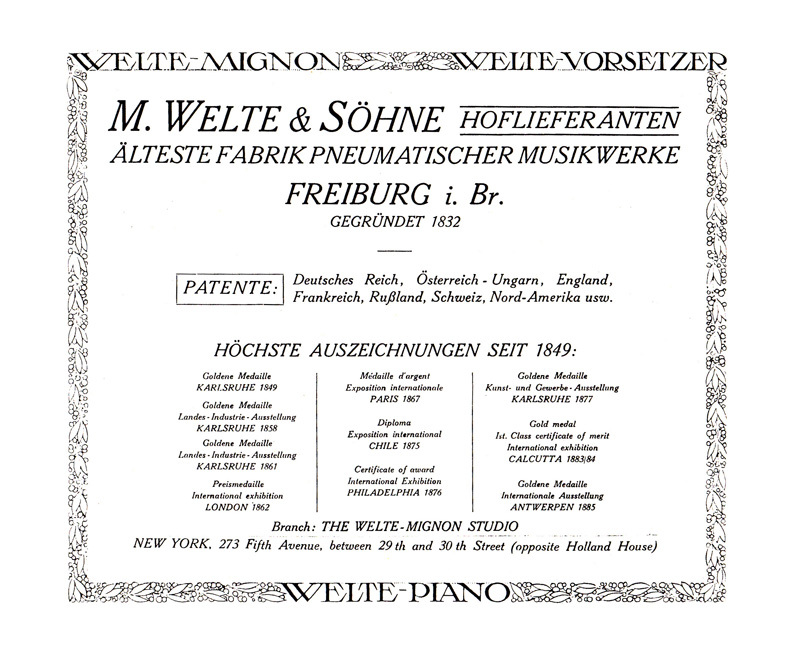 The rapid spread of radio and record meant that Welte had to cease production of the reproducing instruments in 1932. Not a single one of the Mignon recording machines has survived. 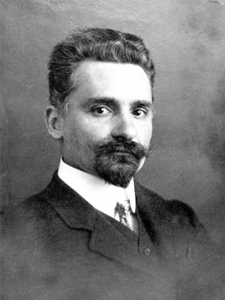 The inventors Karl Bockisch (1874-1952) and Edwin Welte (1876 - 1958) took the incredibly closely guarded secret with them into the grave. 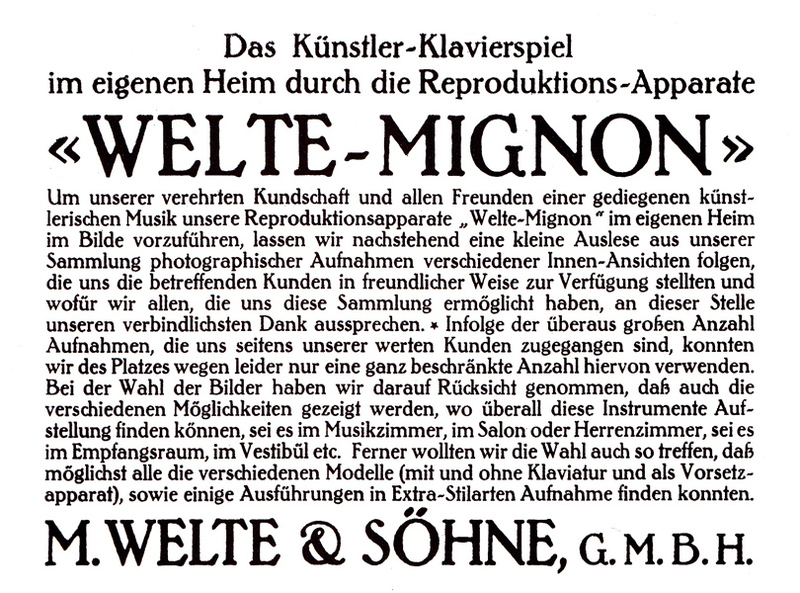 What remains today is the myth of the Welte-Mignon exactly as its inventors wanted.